For much of the twentieth century a small train periodically stopped the traffic on the main road from Wareham to Swanage and for many people this was the only manifestation of an important local industry. Ball clay had been extracted from Purbeck since the sixteenth century but it was the beginning of the nineteenth that saw the start of serious exploitation. Benjamin Fayle built Dorset’s first railway in 1806 to get his clay to the coast and over the years the needs of transport saw a number of very individual railways until the 1990s. This book is the result of the author’s lifelong interest in the industry and his detailed personal knowledge of the mines and railways. 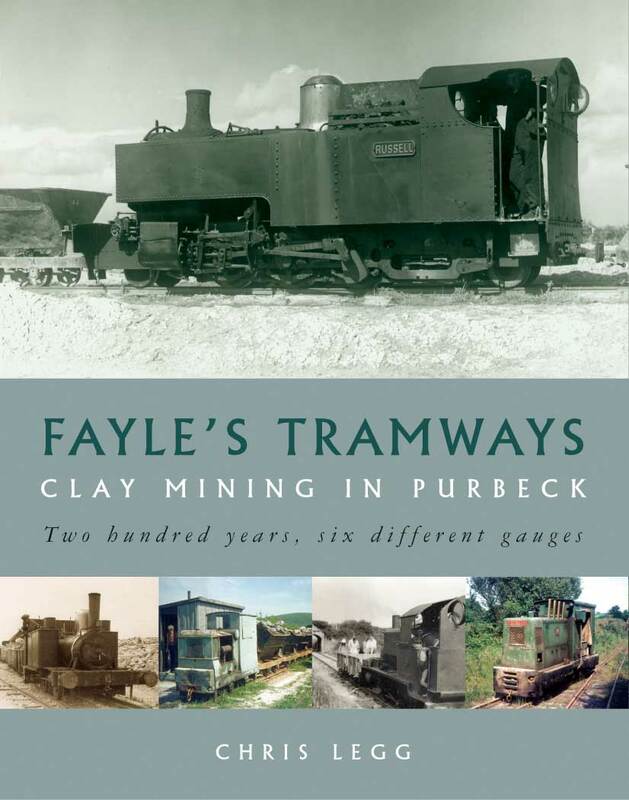 It tells of the many aspects of clay extraction and mining, processing and weathering, tramways, horses, locomotives and rolling stock, family connections and personalities, merchants and miners, accidents and rescues, education and the school train, shipping and the effects of war. The author’s friendship with the miners, managers and their families makes this a very people orientated story. The railway story is taken from the historic plateway of 1806 through the variety of lines, using six different gauges, that saw use for nearly two centuries; including the Middlebere Tramway, the Goathorn Tramway and the Norden and Goathorn Railway. It includes an account of the famous Russell’s time in Dorset, before its return home to Wales. Many photographs and drawings are published for the first time.